A cyber Cafe, also known as Internet cafe business is still one of the business in Nigeria that you can make a handsome fortune from all you need to do is get the right information on how you can go about it. An internet cafe or a cyber cafe is a place where internet services are offered to the public at a fee. Before now, this line of business is usually capital intensive and require lots of procedure before you can get started but not anymore. Lots of people go to the cyber cafe on a daily basis for different reasons and for different transactions. Most recently with the advent of Computer Based Test CBT where the use of multiple computer centers are hired by the Joint Admission and Matriculation Board, JAMB, its a one sure way of making fortune from this business. Its very important that before you venture into any business, you must have a good feasibility study and business plan to help you analyze the business and enable you make informed decision about the business, that is why we have a well written Cyber Cafe feasibility study business plan. With our feasibility study you will know how much capital you will need to get started, the best location for the business and the equipment you need to get the best out from the business. After you have gotten your feasibility study and business plan ready the next thing to do is to rent a shop. Its advisable to get a shop in business areas. The job begins after acquiring a shop because you have to furnish the shop, this means getting chairs and tables, air conditioning system, generating set. Our Cyber Cafe feasibility study business plan will help you get all the necessary information you need to start the business. 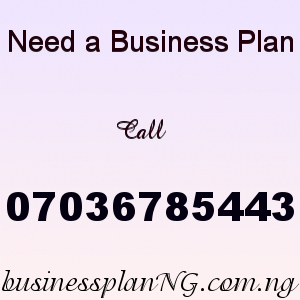 After payment text your name, your e-mail address to 07036785443 and you’ll receive your CYBER CAFE BUSINESS PLAN / FEASIBILITY STUDY PROPOSAL.